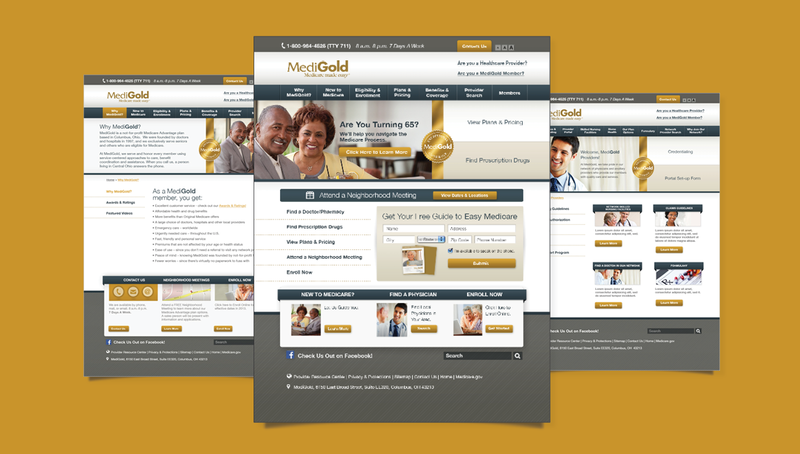 Partnering with MediGold's team of web developers, Origo Branding Company was asked to redesign the brand's website, driving user navigation to the key areas of the site. 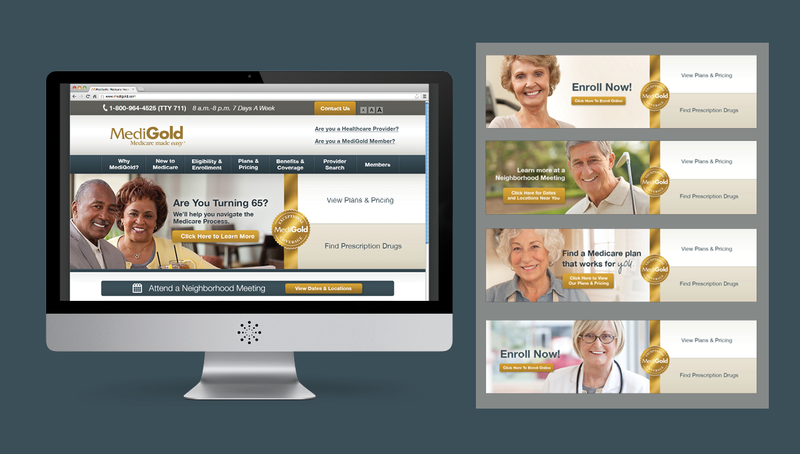 The new approach was to reflect the different styles of the recently crafted brand guidelines, creating a cohesive approach to their different communication strategies. 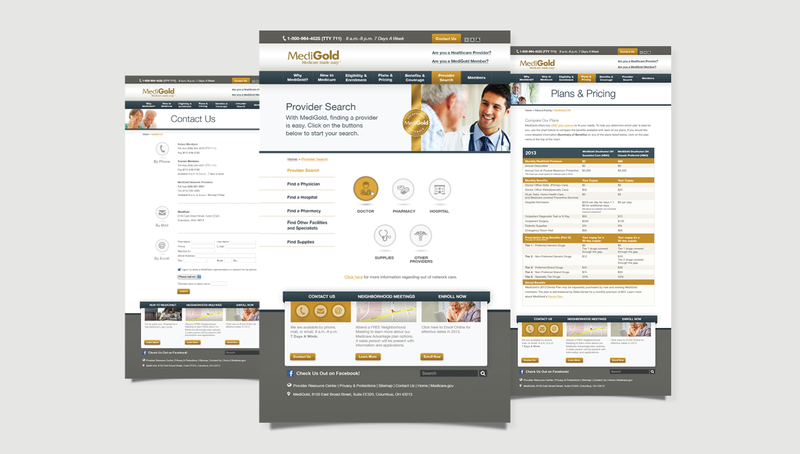 Origo implemented recognizable imagery, icons, and design elements throughout the different levels of the site, helping communicate the varying benefits and details of MediGold's plans.